Nick Barber is an agent for the CIA. Sally Stein is a Special Agent for the FBI. The two-book series follow two cases they share, meeting in the first and continuing and intensifying their relationship in the second. Barber has worked for the Agency for a very long time, At or around fifty, he still possesses impressive physical abilities but a slight paunch is present and he doesn't move like he once did. The gray hair on the side of his head and the lines on his face show he has paid his dues. These dues were extracted in numerous hotspots around the world and he is unofficially credited with several tactical eliminations in the performance of his duties. He no longer feels he has to prove anything to anyone, least of all himself. Sally Stein also is a veteran of many years but with the FBI. Divorced mother of two teenage boys who live with their father, she admits the constant moving and long-term assignments cost her the marriage but she has also garnered an impressive record. In her late thirties, she is not feeling aches and pains yet but knows they are coming. She still retains her good looks and her figure but doesn't care if they are appreciated like she might once have. They are thrown together in the first assignment where they instantly feel animosity for each other. Barber doesn't like working with others and Stein doesn't like working with the Agency. As they share adversity and save each other's life, that attitude changes. He still is a loner and she still dislikes the CIA but they grow to like and trust and value each other more than they expected. 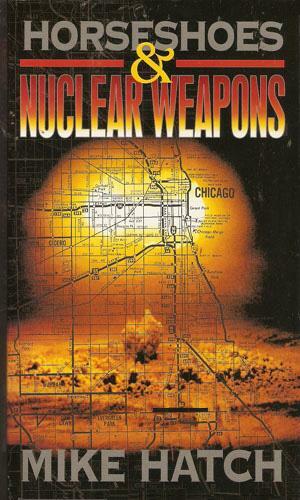 Barber and Stein must track down a terrorist cell which is suspected of having a nuclear weapon in Chicago, ready to destroy most of the city. As this transpires, a dictator is using the same source to get his own weapon to solidify his power. 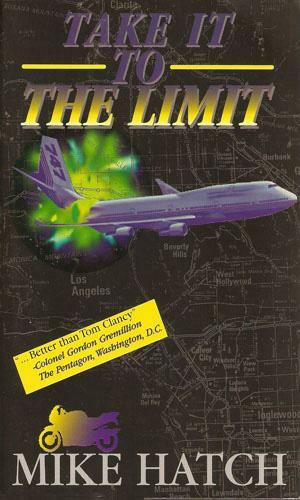 Eager to recoup losses when the Navy interdicts an illegal shipment, an arms dealer takes a contract to plant a bomb on an airliner. The death toll is extensive and Barber and Stein are given the job of tracking down everyone involved. The adventures of Barber and Stein are a good, respectable buddy series with reasonable early distrust leading to reliance, with romance adding an enjoyable flavor. While there isn't anything exceptional about the series, they are quite enjoyable reads and worth the few hours. It is satisfying to read a series where the two protagonists, romantically connected after a time, are not young studs and bunnies but are fairly mature and adult. Mr. Hatch handles that particularly well and is to be commended. There is no bodice-ripping or chest-heaving going on, just two grown-ups realizing their growing interest and eventually coming together as adults. And the author captures that maturity quite well, keeping the tension interesting but realistic. Also enjoyable is the action they have against the bad guys. Again neither of these characters is a super hero but both are darn good at their jobs and very experienced, knowing when to shoot and when to duck. It is refreshing. I wish the author had given us one or two more adventures.